HDR Pro-Sets are all-in-one environment solutions for Daz Studio, made to bring professional tools and ideas to your work flow. 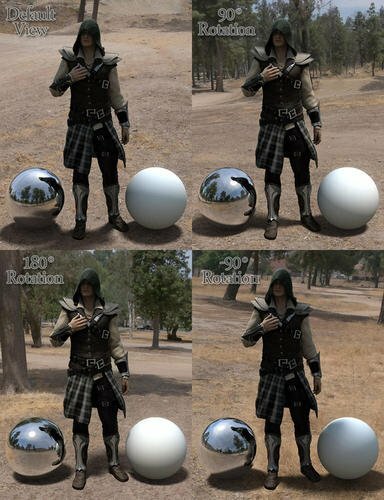 High resolution panoramic backgrounds (16384x8192) work together with HDRI lighting and custom shader work to accurately place your characters in real world environments. Use the methods big studios use for adding CGI to photos and video in a simple, efficient and fun way! Drag and drop settings at their simplest, complete scenes in seconds. High resolution is great for wide angles or telephoto portraits. Included Shadow Catcher made from scratch with built in AO and shadow modifiers to increase realism. glad to see you putting that fisheye camera of yours to good use, I am always looking for new 360 backgrounds and looking at your texture sizes these will be great with shadowcatch in Carrara. I think I have grabbed every 360 image that is re-usable (and affordable if not free) on the web already, many annoyingly have people in them or are of obscure scenes I would never use. ...I'm lost for words, but I wanted to express my enthusiasm for this set. man alive, I can't wait for this! Love the first image in the thread - Mommy takes the kids to the park. Will this work in DS4? The one question that springs to mind is how big an effective 'stage' it gives before models and background interfere - i.e. if I have two characters in the scene, how far apart can I place them without compromising the illusion? The video certainly seems to show a reasonable size of 'stage', but can I show something happening in the foreground, and something 30 yards away? Further? I have been through so many cameras and so much gear... I'm on my fourth camera AFTER that fisheye camera lol, all of them were bought trying to do this. These are something I've been taking very seriously, I wasn't going to do anything with it until I was happy with the quality. Right now I am still working on the best ways to get these into programs, which is why there isn't anything other than DAZ Studio. Poser won't be hard, Carrara has some shadow catching issues with GI that can only be worked around with plugins or light domes. Both of which I really don't want to have to use. There are a few people in these but they're so far away that it shouldn't be any sort of issue. I'd made sure they were featureless enough not to require release forms if that's any indication. There's actually no limit at all. When you're dealing with distance you can use size as a parallel, if you were to animate an object moving further away while also growing in size with these scenes, it would appear to be completely still. So any limit that's encountered by just moving objects can be worked around by scaling. Though nothing in the video has animated scale, everything there is within that limit. These were made with one of the earlier (stable) DS4 releases so there shouldn't be issue with compatibility. It's great to see something demonstrated with animation. I'm still looking for a replacement for the Movie Maker and this, finally, may be it. So where do I buy this wonderful setup? Is it possible to use the Skies Of Terra with this .... sort of add the shadowcatching of this onto a Skies of Terra background and light? Sorry, it's not actually released yet but it's already through QA! I changed the title to suggest that it's coming soon. You can use the shadow catcher from here with Skies of Terra or any other skydome presets, it should work fine and pull from whatever lighting there is. I couldn't warrant making the shadow catcher it's own product, but I will keep the pricing in mind when releasing the next sets. Possibly coupons for owners of each previous set when the new ones come out. 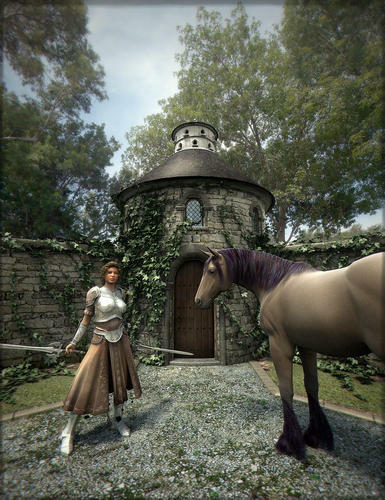 Here's an image as an example for adding buildings and larger props then using these sets as backdrops. Here is a 100% scale cropping of one of the background maps to (hopefully) show the semi-toon effect. Real world photos always have imperfections due to optics and other things. 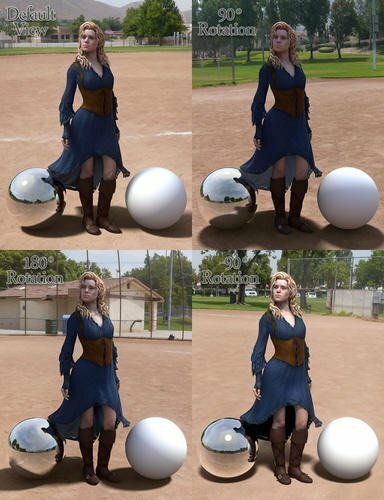 You get ISO noise, distortions and blur that doesn't come from renderers like DAZ Studio. 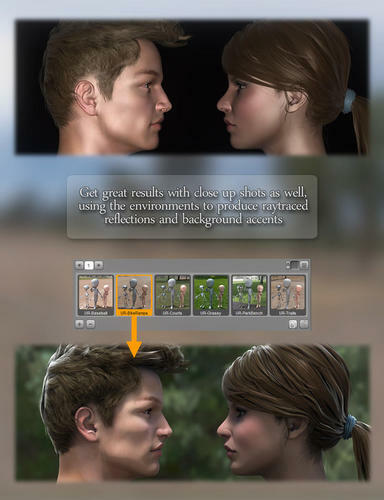 DAZ Studio will always try to spit out the cleanest, most crisp image it can. When you take this and try to place it on real world shots you often end up with an un-natural contrast because of that. The difference between clean/crisp and noisy/imperfect destroys the illusion. Adding the slight tooning removes the imperfections and matches renderings better. It's only noticeable when zoomed in very close though. Uh oh...that horrible four letter word...."soon". Looks great! I use Skies of Terra now, and this looks like a big step forward in realism and variety. The added shadow catcher will be appreciated. Thanks for all the previews and the great animation video. I hope it appears in the store "soon" during the PA sale. Wow this looks amazing. I want it. Rough Price range? I so want this. "1 millllllion dollars" ... Ok well maybe not. But no matter what it is now your going to think it is an insane bargain. yes DT, I know you are cheap! 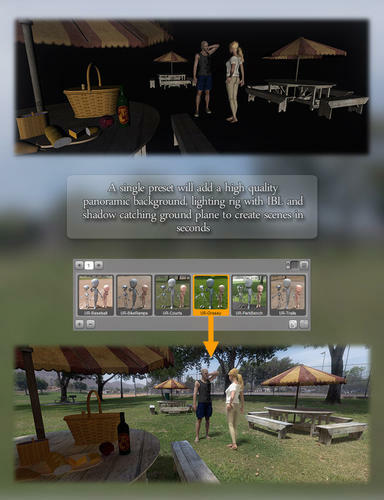 Whether DT specifically sets up the images for Poser or not, it should be simple enough to use in Poser. 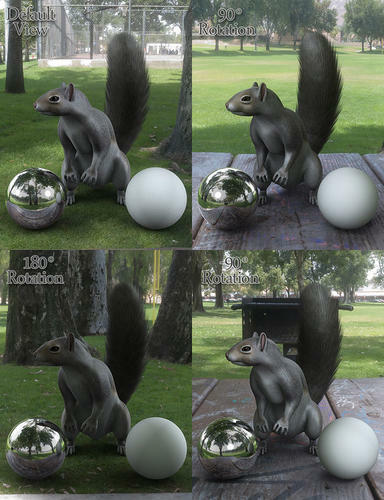 Just attach the HDRI to Bagginsbill's Environment Sphere and turn on IDL in the render settings. Of course- that's the way most of my images are rendered. I just like the shadow catcher aspect- probably easy to replicate as well. 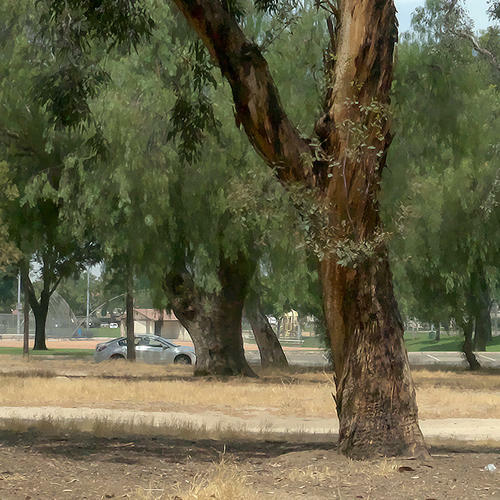 I like to use really large HDRI's- and it looks like the product includes them. Here's one I rendered last night using BB's Environsphere. 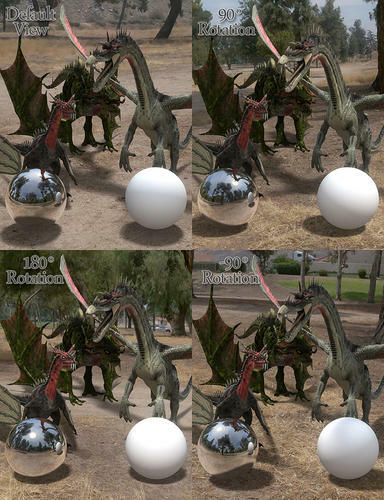 I think Bagginsbill made a post at Renderosity about how to set up a shadow catcher that works with IDL.